Let me start with a disclaimer: I’m a dog, cat, animal person, and an author. A lot of you like to read about vampires and their ilk, and I don’t write about vampires and their ilk, at least not usually. So when Pam offered me a guest slot, I accepted with more than a little fear. The blood drained from my face...oh wait, no, I had a garlic bagel for breakfast so I should be okay! I do write about animals, especially dogs. 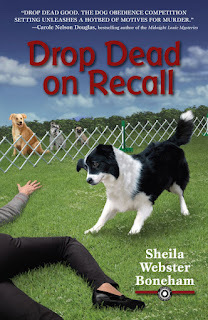 My new mystery, Drop Dead on Recall, begins with the death of a competitor at a dog show, and I’ve written lots of books about dogs, cats, and animal rescue over the past twenty years. I can tell you, though, that although most people I’ve met through canine activities are kind, generous people, but I have run into more than one bloodsucker among them. One of my works in progress, though, led me to some interesting ideas about, yes, vampires! The work I’m talking about is a combination memoir, natural history, folklore, science, lyrical meditation – okay, it’s a mixed-breed – about dogs. One of the threads has to do with feral dogs, street dogs if you will, and the horrifyingly difficult lives they live in most places around the world, including the U.S. And one of the questions I’m pondering in my writing is this: why are dogs so often objects of cruelty when they are also widely recognized as faithful, intelligent, social animals who willingly love us, rescue us, and die for us? That’s a question for another time, but here’s where the vampires come in. Many people are afraid of dogs, especially stray dogs. The fear is often overblown, and for those of us who love dogs and share our homes with them, it can be hard to comprehend. But the fact is that fear of dogs, especially free-roaming dogs, is hardly baseless. They do bite, especially when cornered and scared. The number of reported bites is actually lower than we might expect, but any bite can have serious consequences. In places where poor people live cheek-by-jowl with feral dogs, a bite can even be deadly. For one thing, bacteria introduced by bites of any kind virtually guarantee infection without antibiotics. Beyond that, stray and feral dogs are unvaccinated, and although most of the diseases that infect them cannot be passed to people, one that can be is rabies. Rabies has been with us for a very long time. The virus can infect nearly all mammal, and is transmitted in saliva, often but not always by bites. The Babylonians described rabies in their legal codes more than four thousand years ago, and they understood that dog bites could introduce the infection. Bioarcheologists tell us the disease has been endemic to the Nile Valley of Egypt for at least that long, and researchers suspect it was present in pre-Colombian Central America as well. You think vampires are scary? Infection by rabies really is the stuff of nightmares. The virus can lie dormant for months before attacking its host. Then it rises – as if from the dead! – to attack. Once symptoms appear, you die. Eventually. Before you do, the rabies virus will infiltrate your brain and central nervous system, making you hallucinate, rave, become violent. Bite. 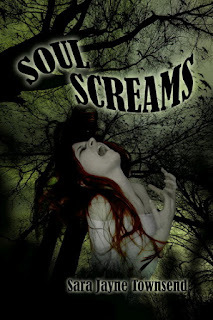 Spanish neurologist Juan Gómez-Alonso has suggested that this urge to bite and other symptoms of rabies – hypersensitivity to light, topsy-turvy sleep patterns, hypersexuality – also invaded the popular imagination and may account for some vampire stories. Sure, there was old Vlad the Impaler, but chances are modern lore draws on many sources, and the rabies theory certainly seems plausible for some popular ideas about vampires. Maybe I’ll have to add some vampire lore to an upcoming mystery after all! In the meantime, if you like mysteries with dogs and cats, I hope you’ll take a bite out of Drop Dead on Recall. Award-winning author Sheila Webster Boneham writes fiction and nonfiction, much of it focused on animals, nature, and travel. Although best know for her writing about dogs and cats for the past fifteen years, Sheila also writes fiction, narrative nonfiction, and poetry, teaches writing workshops and classes, and is interested in speaking to groups about writing, creativity, and related topics. Drop Dead on Recall, her new mystery, is available now from your local bookseller and online – ebook and Audible editions will be available in October. 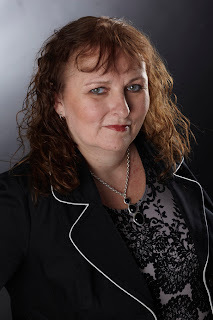 Find Sheila at http://www.sheilaboneham.com or on Facebook at http://www.facebook.com/sheilawrites. She also blogs at http://www.sheilaboneham.blogspot.com. Hi Sheila, Great post! There are some serious similarities between rabies and vampirism. I like to write about animals too, and your book sounds v. cool. Thanks, Carla! If you decide to have a look at it, I hope you enjoy it. As someone who loves cats, dogs, AND vampires, this was a very cool post. The thought of contracting rabies has always terrified me. Interesting way of tying it back to vampires. BTW, love the cover of your book. It grabbed my attention immediately! Thanks, Maeclair.net! Glad you like the cover. Yes, rabies is terrifying - thank goodness for Louis Pasteur & vaccines.